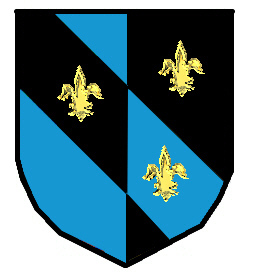 Double diminuitive of the name "John"
Coat of Arms: A shield divided per pale blue and black with three gold fleur de lis. Crest: A battleaxe with a gold handle. Motto Translated: Advance but cautiously. 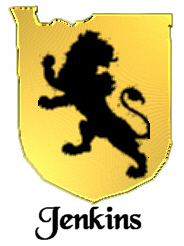 Coat of Arms: A gold shield with a black lion rampant reguardant. 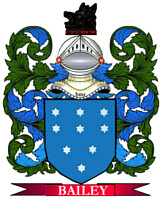 Crest: On a black mural crown, a gold lion passant reguardant.